Having a high quality email database is a non-negotiable. The most important ingredient to achieve high deliverability is the accuracy of your data. Sending to invalid or inaccurate email addresses has a reverberating effect. Repeated bounces alerts recipients’ internet service providers (ISP) to flag your domain as untrustworthy, routing messages to the spam folder or disallowing messages from being delivered by blocking your domain completely. Money, time, and resources are squandered, and you’ve undermined your entire marketing strategy by destroying your sender reputation. If that wasn’t bad enough, you’ve also put yourself in a risky situation in terms of compliance and resulting regulatory fines. First-party sourcing: Data must be volunteered by physicians (or patients) themselves via a first-party opt-in process. Authentication: Pure data will have passed through a third-party verification audit, such as that offered by BPA Worldwide. Daily updates: Information is constantly changing. An email address that was active yesterday may not be today. Lists should be refreshed for accuracy every 24 hours. 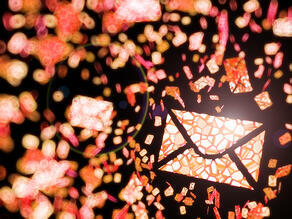 Multiple email addresses: Most individuals will have more than one email address. A quality list will include all active addresses, as well as indicate which address is preferred by the recipient. Many physicians prefer to receive information in their personal inboxes over professional ones, which also helps deliverability by avoiding getting hung up or gated by front office staff. Don’t be afraid to ask these questions of your current (or prospective) email list provider. If your vendor cannot provide assurance on these four items, it’s time to look elsewhere for your data needs. If your email vendor cannot provide assurance on these items, it’s time to look elsewhere for your data needs. If you’re not certain how well your deployments are performing, or you’d like to improve upon current efforts, join us for our upcoming webinar, “Email Deliverability: What You Don’t Know CAN Hurt You.” The webinar will take place Wednesday, February 27, 2019 at 2 p.m. (EST). Definitions of the key elements of deliverability, from sender reputation to spam avoidance, and more. With this information, you’ll be able to establish your own best practices for ensuring successful deliverability for every email deployment. Click here for registration information.